Hello, London: we’ve announced a Time Out Market in Waterloo! Worldwide icon-chevron-right Europe icon-chevron-right United Kingdom icon-chevron-right England icon-chevron-right London icon-chevron-right Hello, London: we’ve announced a Time Out Market in Waterloo! Time Out is all over the world these days, from Madrid to Melbourne and Shanghai to San Francisco. But London is our home – we were founded here 50 years ago – and so we’re chuffed to bits to announce that plans are afoot to open a new Time Out Market right here. 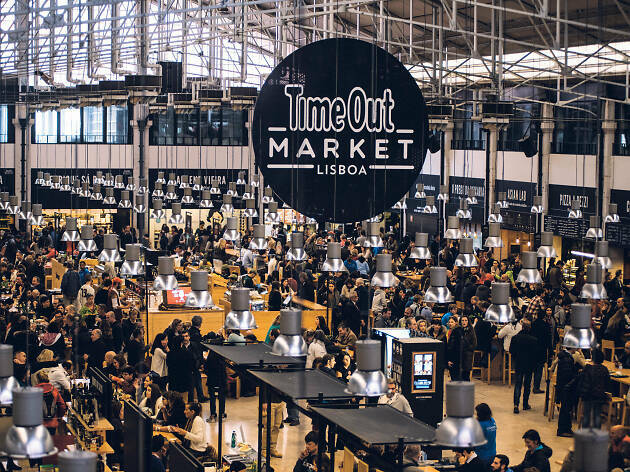 Maybe you haven’t already visited the immensely popular Time Out Market in Lisbon (pictured above), or heard about the Time Out Markets opening soon in Miami, New York, Boston, Chicago, Montreal and Prague? In that case, the idea is simple: a food and cultural market that brings the best of the city under one roof. The city’s top chefs, chosen by local Time Out editors, serve up their best dishes from mini kitchens, with proper fine dining-style plates and cutlery. Ace local mixologists run bar takeovers; bands, artists and performers roll up for special events… it’s a physical manifestation of all the great stuff Time Out brings you week in, week out, and now (subject to licence approval) it’s coming to London. Get excited! The Time Out Market London – Waterloo will be the centrepiece of the new Waterloo.London development, which is turning the station’s former Eurostar terminal into a new South Bank hotspot. Inside, over two floors with around 500 seats, we’ll host 17 of London’s most acclaimed chefs and restaurateurs serving all kinds of cuisines, plus three bars and a space for cultural experiences showcasing the best London talent. The only bad news is that you’ll have to wait until 2021, when the market is scheduled to open, to enjoy it all. Be the first to hear about the progress of the market by signing up to the Time Out London newsletter.